With women’s soccer dominating the spotlight across Canada of late, it only made sense that Lakehead’s Reach Up! program have a soccer focus in its recent activities. 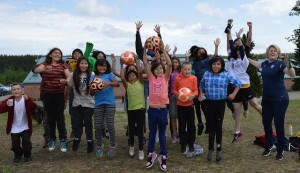 With the help of U.S. Sports Envoy Mary Harvey, who holds a World Cup championship and a gold medal from the ‘96 Olympics as a goaltender with the U.S., representatives of the Lakehead women’s soccer team travelled north to Armstrong on Wednesday June 24. Their focus was to work on some basic soccer skills with students in grades 1-8 at Armstrong Elementary School and bring some soccer expertise to the community that doesn’t come around everyday. Over 80 Armstrong students took part in the day’s activities. Representing the Reach Up! 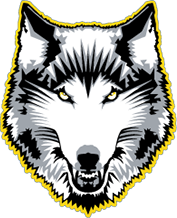 program from Lakehead were Amanda Nesbitt, program coordinator, along with Laura Poluyko, head coach of the women’s soccer team and three Lakehead athletes, including Natasha Frank, who runs on the Thunderwolves track team. “It was a fun experience to play with with the kids and give back to a northern community that I grew up very close to,” said Frank, who hails from nearby Collins, 30 km from Armstrong. “It was a very humbling experience, to be able to work with such an accomplished athlete as Mary Harvey,” commented Poluyko, who has coached at Lakehead for two years and is a teacher in Thunder Bay. This is the second visit that Reach Up! has made to the Armstrong area, having made a trip to nearby Whitesand First Nation last year. The visit to Armstrong was made possible by a partnership of the U.S. Sports Envoy Program, the Aboriginal Sport and Wellness Council of Ontario, Lakehead University and of course, the welcoming staff and students at Armstrong Elementary School. Reach Up! 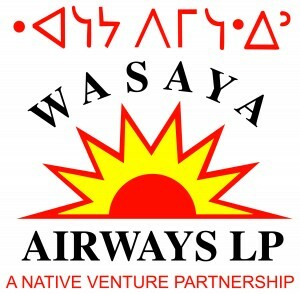 also receives support from Wasaya Airways and Right to Play.